A kettle with a story to tell, the Adventure Compact Kettle is inspired by the legendary ships of explorers. Combing a stunning stainless steel with a bold black, this kettle will make a spectacular statement on your kitchen counter. Whether you’re preparing for your first day at a new job or you’re taking a trip to a new place, there’s always time for a quick brew. So take a minute to yourself and escape the world for a moment whilst you enjoy a good cuppa that leaves you sailing away into relaxation. Perfect for those of you looking to cater for smaller families with minimal countertop space, the Adventure Compact Kettle has an impressive capacity fitted into a compact design. Eliminating bulky handles and unnecessary height, this smartly sized design takes pride of place on your kitchen counter. 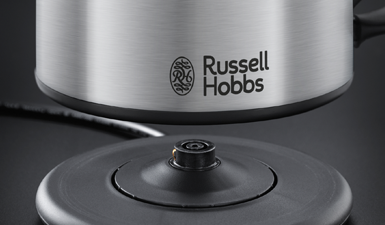 With a speedy boil that lets you boil 1 cup of water in just 55 seconds* this kettle is always ready when you are. 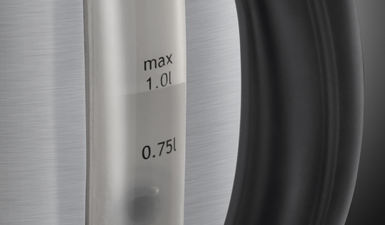 And if that wasn’t reason enough to adore the Adventure Compact Kettle, it even saves you up to 66% energy** perfect for those of you looking to save your pennies.